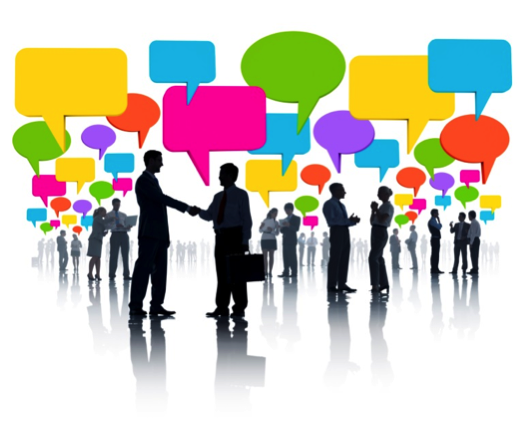 Networking and public relations go hand in hand, as the profession revolves around this very principle. This includes, but is not limited to, the maintaining of relationships, the introductions of great minds, the growing links between publics and institutes and the expansion of groups with similar interests. 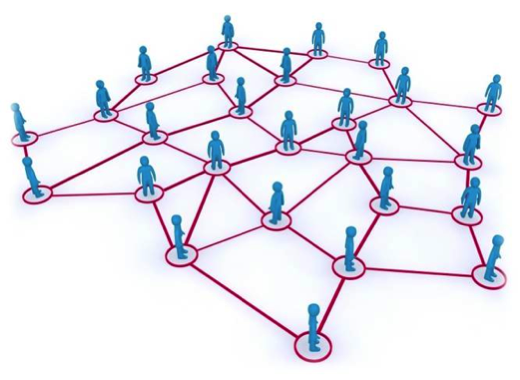 The definition of networking according to Google is to connect or interact to not only exchange information, but also to develop professional or social contacts. Or as I like to think of it: the art of making friends. To adapt to the changing digital landscape, public relations needs to think about networks and how these can shape online conversations. Relationships and markets are more than conversations though, they are also transactions. Networked groups are very effective in spreading a message, or more importantly changing an attitude around a specific area. Sometimes, these messages can spread like a sort of ‘virus’. An example of this exponential spread is when something “goes viral” on the internet. This, in basic terms, is the PR dream. Many could argue it’s down to luck to a certain extent, but PR professionals spend hours creating specific content that will encourage people to share online to meet specific needs of different audiences or institutions. A personal (fairly pathetic) example I just have to use this opportunity to share, to illustrate that this can happen to anybody online, is a tweet I wrote just a few days ago. After hitting the ‘3 retweets’ mark, I felt like a self-proclaimed celebrity in my own right. However as time went on and these favourites and retweets continued to rise I began to question, am I about to go viral? Now, in all seriousness, this is a pretty insignificant example. Having not even ventured into the hundreds, this is hardly a viral tweet, but it does illustrate the point of the power of Twitter and the sheer reach it can have in a matter of minutes! 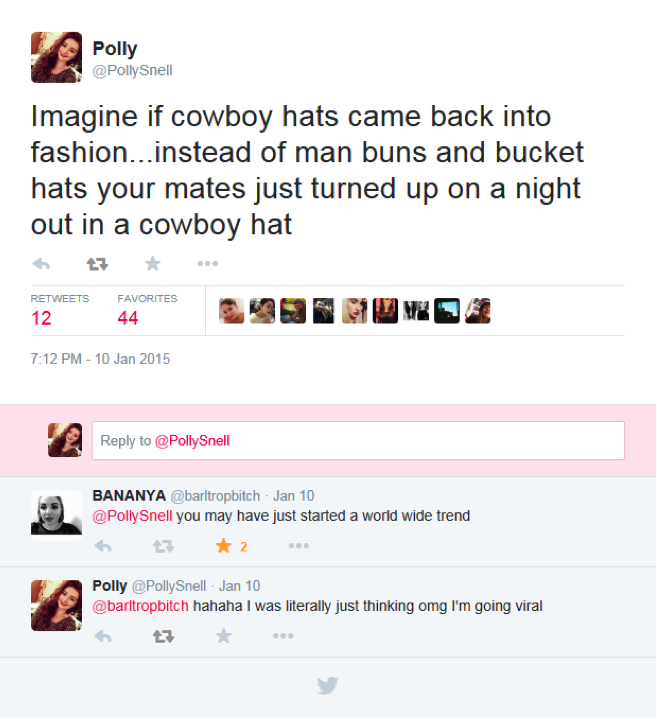 I’m using this as an example purely because I found it hilarious, but it still illustrates the point nicely. With over fifteen thousand retweets, this tweet will have been shared and read all over the world by people in different countries and complete different backgrounds. To bring this back into the context of public relations, Smith (2013) notes that a key element of this we need to grasp in order to use this to our advantage in PR is, “to be able to build relationships with the right individuals behind those sites and pages in order to earn the right to gain a link or reference.” (In this context he is talking about Search Engine Optimisation.) This means creating content that will attract the right individuals to build networks of relevant people. In The Tipping Point: How Little Things Can Make a Big Difference, by Malcolm Gladwell, he agrees that “Ideas and products and messages and behaviours spread like viruses do.” He suggests a theory of The Law of a Few, which he defines as three types of people: The connectors, the mavens, and the salesmen. This is because, “The success of any kind of social epidemic is heavily dependent on the involvement of people with a particular and rare set of social gifts” according to Malcolm Gladwell. Mavens accumulate knowledge, connectors make introductions and salesmen are the persuaders, the charismatic people with powerful negotiation skills. However, in Share This Too, Andrew Bruce Smith explores the idea of Network Topology. He believes that it is the structure of a network that influence and information rely on heavily to gain considerate reach. In other words, it’s not the social influence of individuals necessarily, but the structure they find themselves within. He concludes with the idea that the understanding of social network structures may become a core skill requirement for the PR practitioner in the 21st century, although I have to add, isn’t this already the case? Having completed an entire module in our second year on Digital Communications Management; I think this time is already upon us. Smith, A.B.S., (2013) Share This Too. Network Topology, Chapter 32. CIPR. John Wiley & Sons Ltd. West Sussex. Gladwell, M.G., (2000) The Tipping Point: How Little Things Can Make a Big Difference. Back Bay Books.